Banbury Bulls rounded off their Wadworth 6X South West One campaign with a fifth straight victory but it was not enough to get into the play-off spot. A hat-trick of tries from Justin Parker helped Bulls to a 32-19 victory against Witney but Old Centralians also won to seal second place. 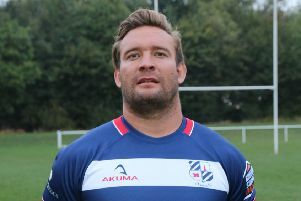 Saturday’s victory was overshadowed by an injury to Matt Powell which ended his season and the game also saw Sam Stoop and Joe Winpenny make their final appearances at the DCS Stadium before they retire. Ed Phillips opened the scoring when he kicked a penalty after Witney were penalised for offside. Almost immediately from the restart Bulls extended their lead when Parker intercepted a loose pass in his own half before sprinting over in the corner. Parker soon claimed a second try. Ed Berridge peeled off the back of a scrum before drawing the last man and playing in Parker in the corner. Powell made a brilliant break for Bulls and, as the Witney defence tried to get back onside, Bulls backs switched the ball to the opposite flank and Parker completed his hat-trick. Stoop sealed the try bonus point before halftime when he scored in his final game at Bodicote Park. Tommy Gray made a good break before off-loading to Stoop, who burst into the 22, stepped inside his opposite man before reaching out for another try in the corner which Phillips converted. Berridge added a fifth try when he peeled off a scrum before running in untouched under the posts and Phillips converted for 32-0 lead. But just before halftime, Powell was forced off with a serious leg injury, later confirmed to be a double leg break. Witney had a spell of sustained pressure to end the first half and eventually James Merriman drove over at the back of a rolling maul. Aaron Lambourne converted to make it 32-7 at the interval. After the restart, Bulls failed to produce the same level of performance as the first half and complacency crept in to their game. Witney took full advantage to score tries through Callum Godfrey and Matthew Clarke with Lambourne converting one of the scores.